Many of my jewels feature this beauty. I often work with round and marquis opal cabochons. 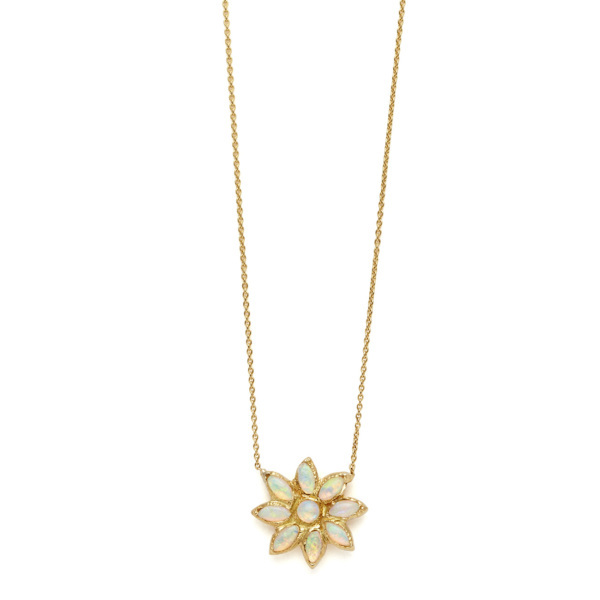 I love layering my 18 karat yellow gold opal marquis eye, opal 3 marquis, and opal flower power necklaces! 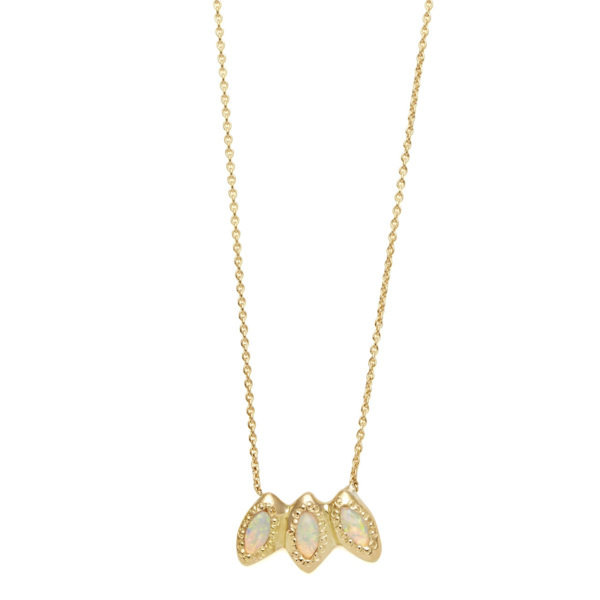 So much luminescent loveliness in these three pieces!